Cartilage injuries are common, especially in the knee joint, and can lead to degenerative arthritis. The treatment approach for these lesions depend upon patient age, activity level, chronicity, limb alignment, and size and location of the lesion. Diffuse cartilage injury in an older patient may be best treated with arthroplasty options. Young, active patients are not ready for a joint replacement, and may be candidates for cartilage repair procedures, in addition to procedures to correct limb malalignment and/or ligament injury. 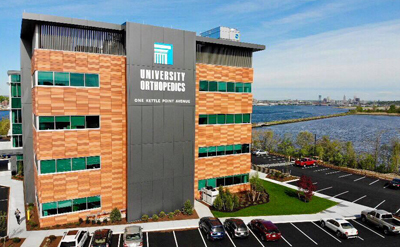 The University Orthopedics Cartilage Repair Center offers state-of-the-art treatment of joint cartilage lesions. This includes both surgical techniques such as autologous cartilage implantation (ACI and MACI), osteochondral allograft transplantation, microfracture (along with adjunctive scaffolds) as well as the entire host of limb realignment and ligament stabilization. We treat the injured joint as an organ – not just focusing on the lesion – and tailor our treatments to the needs of the patient. Our experts cover the entire range of cartilage injuries as well as most joints (knee, hip, ankle, shoulder, elbow) and all patient age ranges. We are proud to offer second opinions as well as complimentary MRI reviews. This procedure involves surgery to obtain a cartilage biopsy which is sent to a laboratory and the patient’s cartilage cells are grown. These cells are implanted during second surgery – reconstructing the cartilage defect. Our surgeons are certified by Carticel (maker of ACI). This procedure involves replacing the damaged cartilage and underlying bone with a size-matched graft from an organ donor with healthy cartilage. Our experts perform a high volume of these transplantations. This procedure is performed in patients whose meniscus in no longer present. 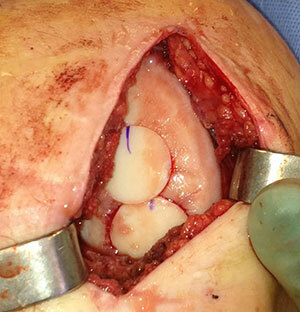 A size-matched meniscus graft from an organ donor is implanted arthroscopically. Our experts perform a high volume of MATs. We also provide non-operative methods of treating cartilage injuries to include joint injections and physical therapy. Our experts offer injections of corticosteroid, synthetic joint fluid, as well as platelet rich plasma (PRP). PRP is obtained by drawing blood from a patient and spinning it down to inject the growth factors into the diseased joint – and has recently been shown to have efficacy in early arthritic knees. Click here to learn more. Our Cartilage Research Laboratory at Brown Alpert Medical School is actively engaged in cartilage research and collaborates with cartilage experts across the disciplines at Brown and nation. More information on our laboratory can be found here. Procedure by Dr. Brett Owens allows 22-year-old to once again run, exercise pain-free.